Marine Corps 243rd Birthday helping for toys for tots. Have raffles for motorcyclist and individuals that don’t ride. Plus door prizes and 50/50 raffles. Going to be a great time. 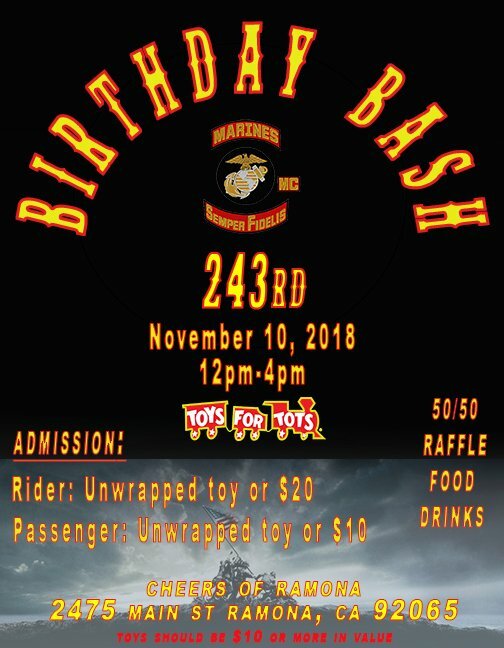 Come out and enjoy the Marines Birthday with us! !